The Man behind June Lake Brewing & of course amazing beer! The Man behind June Lake Brewing… and of course, Amazing Beer! Long ago, nearly all of the Sierra Nevada mountain range was home to mining towns. On the flip side, June Lake attracted a different sort of prospector. It appealed to fishermen, hikers and hunters for its abundance of wildlife and scenery. As you pull onto the June Lake loop, you are immediately in awe at the beauty of this place. Continuing the drive up to town, the lake sits on the right side of the road. Its deep blue color sparkles like diamonds in the sunlight. 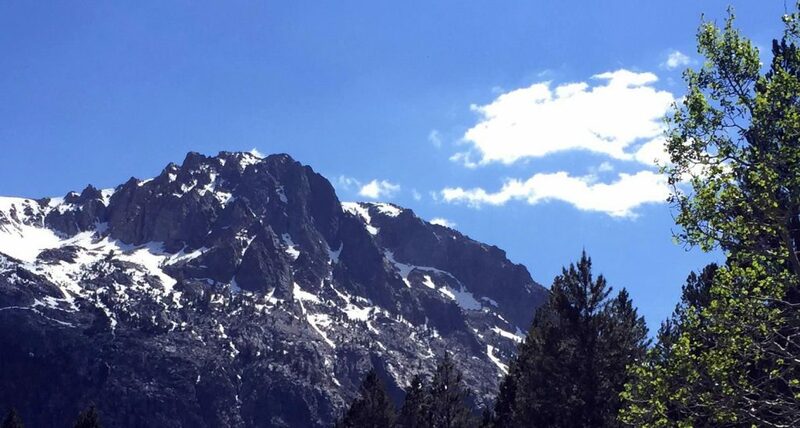 Nearly surrounded by huge magnificent peaks, it makes sense that Justin and Sarah, founders of June Lake Brewing, were emotionally called to this place. Pulling off the main highway, we arrive at the old storage warehouse that is now converted into a brewery. The massive garage doors raise up, inviting you to come inside. Sitting down with Justin, I immediately sense his intensity. He orders a sample of beers for me to try and quickly asks me what kind of information I need for my article. Little did I know it would be a journey through a person’s life that most talk about doing but would be too afraid to follow. Raised in southern California in the town of Cardiff-by-the-Sea, Justin fell in love with brewing beer at a young age. He enjoyed Newcastle but since he was under-age, he instead learned how to brew beer so he could enjoy it himself. Years later that skill would be expanded upon but more on that in a bit. The next question that I asked was how did he end up in June Lake? This is when the Alice-tumbling-down-the-rabbit-hole feeling took over and the story began. Taught at five years old how to surf, Justin was exposed to downhill skateboarding when there were no waves to surf. He fell in love with skating down massive hills, but at fifteen years old his friend was hurt so badly he ended up in the emergency room. Understanding the direction Justin was going and that he would probably end up in the hospital at some point, his buddy asked him if he’d ever heard of snowboarding. His friend described it as a ton safer and falling is less disastrous (some may argue that point.) Intrigued by this, Justin started checking out this ‘snowboarding’ and found out his uncle was the head of maintenance at Bear Mountain in Southern California. So, he decided to head up there and check it out. That was it! He had fallen in love to the point where it became his passion. In the summer, he would frame houses to pay for gas to go snowboarding in the winter. After a few years of doing this, Justin finally made the permanent move up to Bear Mountain. He landed a supervisory repair shop job and through travel with a workmate was soon introduced to June Lake. It felt like the Switzerland of California and at the same time, this place was a hotbed of freestyle snowboarders. People like Danny Kass were always in town and even started setting up shop, Grenade Gloves as an example, right in June Lake. When Snow Summit bought Big Bear, Justin was offered a salary position which would’ve meant a major cut in pay so he left. It was now 2001 and his girlfriend at the time was moving to Boulder so he thought why not go – he no longer had a job. The day they drove into Boulder, he found a bar manager job and was set for the winter. Spending time in Colorado, Justin was exposed to the backcountry which opened his eyes on the types of snow and terrain available not just in-bounds but in this new outside world. Around this time Justin figured out he could use a college education to pay for snowboarding. How’s that even possible? In the summer, he would apply for lots of scholarships which would land him $10-12K a semester. He had the plan worked out – back to CA in the fall for a whopping 22-28 units and then CO and the greater west for winter, a little work and the rest snowboarding. I know the first thought in your head is he must’ve not focused on schooling much. Wrong! He was in the business honors program and co-founded a company called Freshies (no relation to us.) 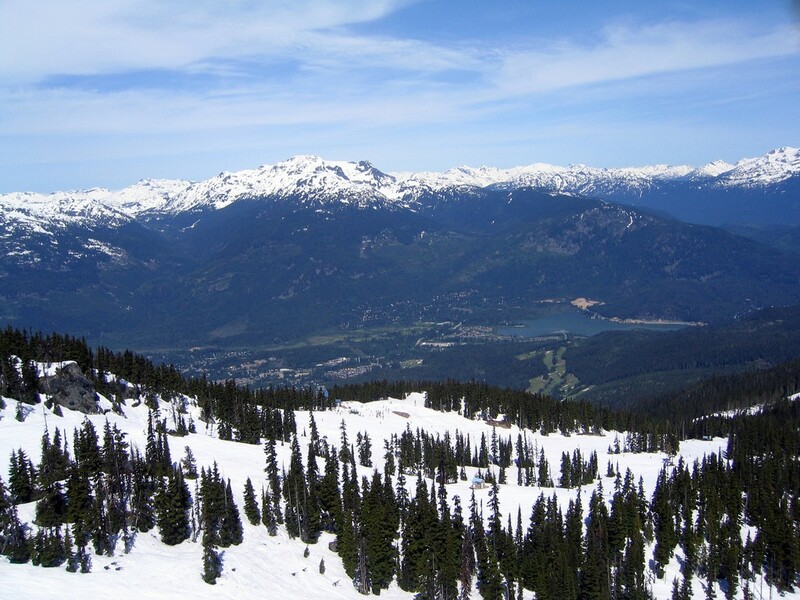 As the CO chapter closed but holding onto his master plan of ‘study by the sun and chase snow in the winter’, Justin headed out to Whistler for his winter seasons starting in 2004. Now based out of Whistler, he rode with some of the local heavies and really started understanding what could be done in the mountains. Continuing to spend his winters up in Whistler while going to school in CA, he extended the schooling into a graduate degree. His thesis was about the eco-efficiency of snowboard manufacturing and was published in the International Journal of Sustainable Manufacturing. With a Master’s degree in hand, Justin made his play to get officially into snowboarding. He applied to over 370 different jobs and couldn’t find a single one! The companies that did talk to him said he was over-qualified. This is when he realized the snowboard industry was built on the ‘who you know not what you know’ mantra. They pitched their ideas to over 54 companies that year and only closed eight deals. 2008 was an abysmal year for business and he was forced to start thinking about something to get him back into the mountains. Justin and Sarah were determined to find a way to relocate to the Eastern Sierra and start a family, so Justin tried Mammoth Mountain but there were no marketing or management jobs due to a hiring freeze. With their love for June Lake, the couple analyzed the current business and resource situation and found water to be June Lake’s greatest asset. 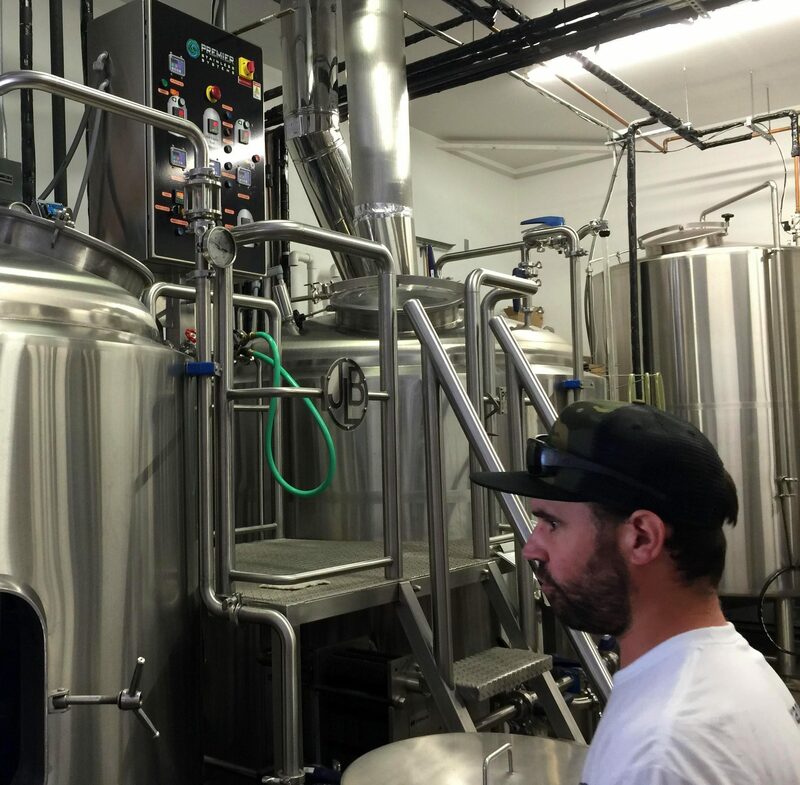 Given both of their love for beer, and mutual backgrounds in home brewing, the concept for a brewery in June Lake was born. As the saying goes – ‘everything happens for a reason’ – Justin’s friends Evan Weinberg and Ross Stewart had successfully started Cismontane Brewing in Rancho Santa Margarita a few years prior and when asked if a brewery in June Lake was realistic they advised the couple to go for it and told Justin to quit his job and come learn production brewing with them. 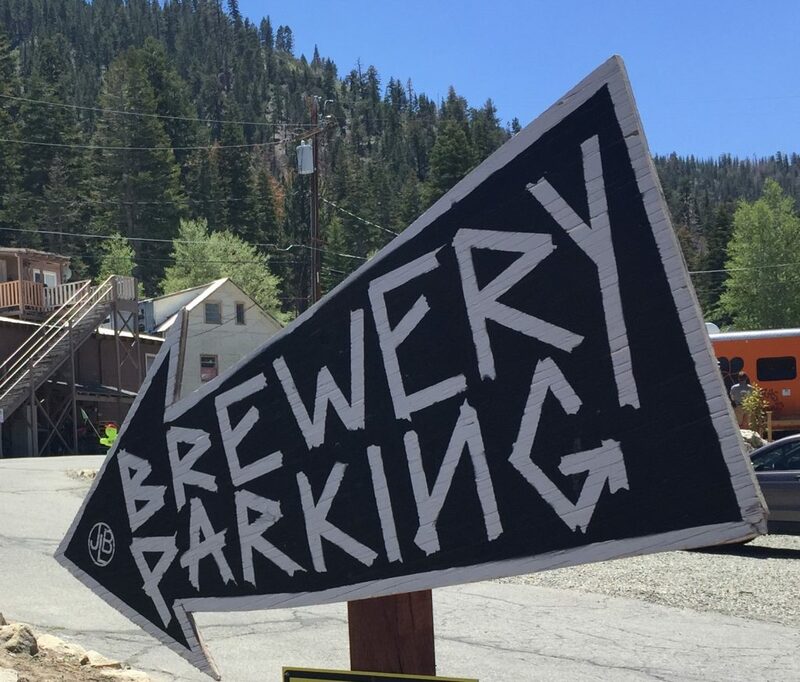 Why June Lake for a brewery? There is a lot of competition for breweries in Southern California. After looking around, Justin noticed that Mammoth Brewing Company was producing predominantly ESB malt based beers with German Kolsch yeast, which means they were more malt forward than the currently popular West Coast IPAs and the best part, Mammoth Brewing was the only brewery within 120 driving miles of June Lake. The other unique marker for June Lake is that it has a source of high quality water that no one else in the region taps into to make beer. After a serious conversation with his friends at Cismontane to see if June Lake was a good idea, Justin and Sarah made the decision to set down roots and make-a-go at opening a brewery. Without a lot of collateral such as a house or cars under their names, banks would not work with them. The production training at Cismontane would come, but with both of their backgrounds in business Justin and Sarah knew they needed to secure capital first. With no money coming through The Action Sports Collective, his partner was poached by a company that sold pre-paid cell phones to be their Senior VP of Marketing. These types of phones (aka ‘burners’) are more typically sold to people that don’t want them traced… for whatever reason that may be – you fill in the blanks. Justin was then offered to manage the marketing department and told to name the number to make that happen. He threw out a ridiculous number and shockingly, they said yes! What? It wasn’t what Justin wanted to do, but the goal was to open a brewery and this job was going to make that happen. He used this opportunity to make the capital the couple needed for the true dream – June Lake Brewing. With money coming in from both of their jobs, Justin and Sarah began looking throughout June Lake for a location that would allow them to have a 3 barrel system. They couldn’t find what they wanted until the person who owned a warehouse in town reached out. He asked if they would be interested in utilizing the building. WAY bigger than what they originally wanted, but with no other options, they said yes. Again, the capital they had wasn’t enough even after all that work to make money, so where could they get the additional money to build out the location? Why not sell a little % of the company? It worked – the location was locked down and then came the next hurdle. 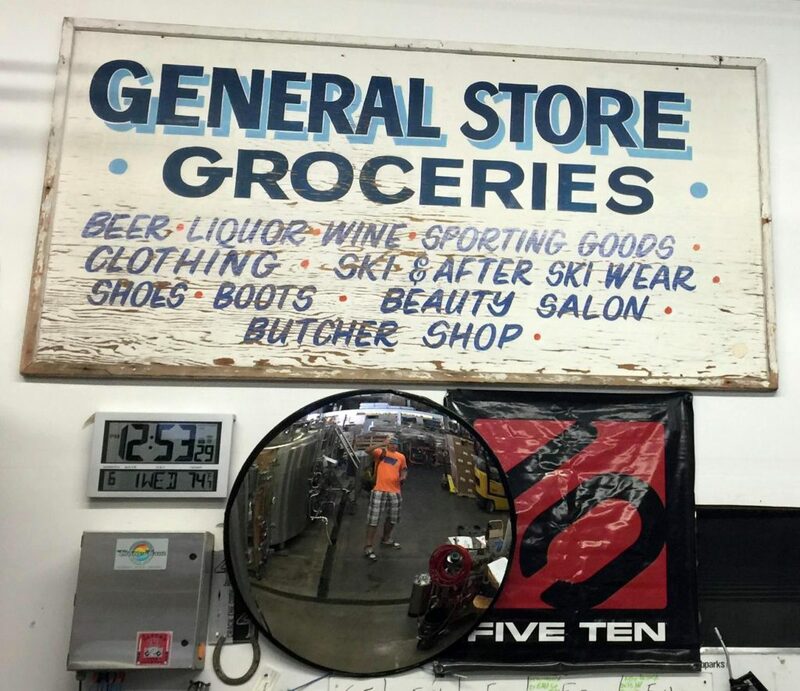 Even though Mammoth Brewing is technically just down the road, it is located in the Town of Mammoth Lakes (incorporated Mono County) and beholden to their laws and ordinances. 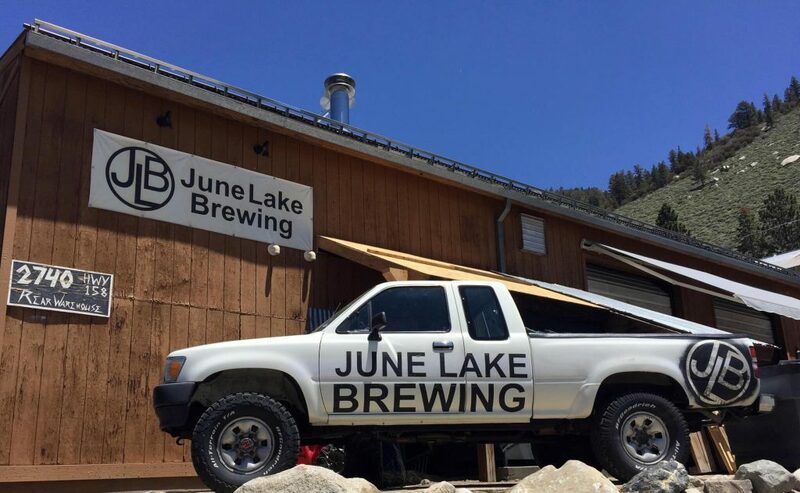 June Lake Brewing was now trying to be the first brewery in unincorporated Mono County and that caused a lot of challenges on getting registered. Everything from the size of the area to hang out to how the brewery equipment was setup was disputed. While reaching out to his friends in the brewing community, he read every law throughout the country and proved to them his plans were just and legal. Finally – with all permits approved, and tremendous support from friends, family and the Eastern Sierra community at large, construction began on the building. We highly suggest visiting the brewery because their statement to Make Super Awesome Beer – is 100%, absolutely positively true! If you can’t make it there (which is a shame), their beers can be found in local liquor stores & bars in the region. The term that Justin used was micro-regional premium distribution. What he means by this is that they provide their beers on draft & in bottles within 15 miles of their location only where the sellers have great draft systems and customer service. Awesome, indeed! If you do make it to their brewery, expect the unexpected! Justin is a mad scientist when it comes to the recipes he creates for his ‘Brewdom’ (that is my made up word for an awesome beer kingdom.) One that stood out in our minds was the Breakfast Brown IPA. Personally, I am not an IPA drinker but this beer was delicious and perfectly named as you actually could drink it with breakfast. It had the qualities of a dark roasted cup of coffee with slight citrus notes that were just hoppy enough for me to enjoy and imagine eating a stack of pancakes. If you are looking for a great option to bring home, go with the El Jeffe. An American Wheat Ale, El Jeffe has a zesty citrus flavor that is slightly hoppier than an average wheat ale – must be because nothing in this brewery is average! No matter what beer you choose, expect an adventure in taste and aroma. June Lake Brewing may be tucked away in a tiny town, but it is an amazing spot for fabulous beer, great conversation and unmatched scenery.